Home Startup Marketing Your New Business Do You Understand Your Differentiation? Does Your Customer? To capture the customer’s attention and compete, we know we have to have a powerful value proposition, expressed in terms of what the customer values. We know that we have to provide powerful business justification, aligned with the financial and strategic objectives of the organization. The concept is easy. 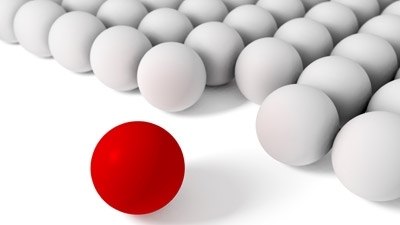 Differentiation and superiority are what set us apart in the customer’s mind. It’s not about being faster, bigger, better—unless those are key value elements the customer is looking for. It’s not having superior performance, more features and functions—unless the customer has said those are important. Differentiation is about separating your solution from all the alternatives the customer is considering. It’s about demonstrating your superiority on those value elements most critical to the customer. You don’t have to be differentiated in every aspect of your solution, just the two or three most critical to the customer. Certainly price is a differentiator; absent anything else, it becomes the key differentiator. But there are many other areas of differentiation as critical as price. It may be the customer’s confidence in our ability to meet our commitments—difficult to defend if we are late to meetings with them. It may be the insight we bring them: again, difficult to defend as superior unless it is specific and unique to them, their company, their function—to them as individuals. Differentiation may be how much they trust us as a company and as individuals, the relationship they have with us, or our attitudes toward them—are they just another commission check or do we care about what they achieve? Differentiation may be how we work with them on a day to day basis, how we help them align everyone in their organization, how we help them reach an informed decision. Differentiation may be as simple as caring more than anyone else—caring so much that you don’t want to see them miss an opportunity or make a mistake. It’s funny; usually the things we think are most obvious about our differentiation—our products and services—are seldom the most important to the customer. Most often, it’s the little things of how we sell and how we help them buy that make all the difference. A strong sales process your people use is the cornerstone to driving the highest levels of sales performance. Learn how you can make your sales process a differentiator by asking for our Sales Process eBook. It’s free, email me with your full name and email address, I’ll be glad to send you a copy. Just send the request to: dabrock@excellenc.com.